My daughter Scarlett is 3 going on 13. I’ll say her name, I’ll call her, I raise my voice and she ignores me. She chooses when to listen to me. It is funny and frustrating at the same time. She has learned if she does not make eye contact she does not have to listen to me. This is a good lesson to remember with dog training. If your dog ignores your command, there is a good chance your dog is not paying attention to you. 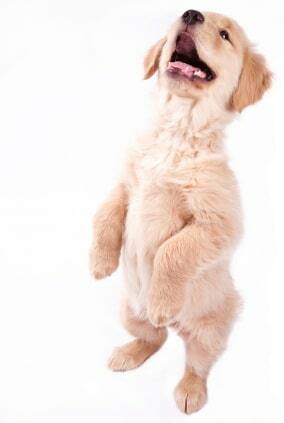 Dog owners give their dogs commands when they are focused on something else. So rule numero uno is to get your dog’s attention BEFORE giving a command. You need to work on what is called engagement. Your dog has to learn to engage and pay attention to you. When this happens, it is much easier getting your dog to perform commands. Engagement can be accomplished through movement. When I first start working with a dog I always spend a few minutes getting engagement and attention. Say your dog’s name and move backwards drawing your dog into you. As soon as your dog gets close to you, move forward. Your dog should turn to follow you. As your dog is following you start backing up again. As your dog turns and comes toward you, walk a few steps backward and then come to a stop. Your dog will go into a sit in front of you. Reward and repeat the exercise. This will keep your dog focused on you and excited to do commands. This is extremely important with the recall (come when called) command. You must get your dog’s attention before your dog will come to you from a distance. The Ultimate Online Recall Course has a lot of info on how you can use the same techniques I teach to get dogs to develop a great recall (come when called) command.